Eid is the biggest religious festival in the Muslim majority country Bangladesh, and a key part of the celebration is going home to celebrate with family in distant places. The majority of residents in Dhaka, who have come here for livelihood, have come from other districts. But they miss their home, where their roots are. Their home can be just in the outskirts of Dhaka or in a distant rural village. During Eid they have to get back their home near or far. 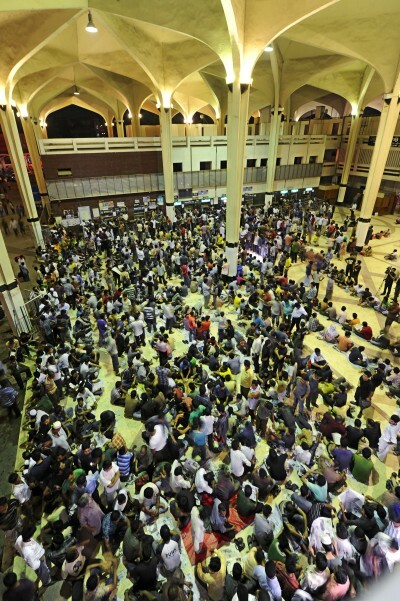 People gather at various train stations in Dhaka to leave the city to celebrate Eid with their friends and families. Image by Saad Shahriar, copyright Demotix (15/11/2010). There are no statistics available on how many people return home during Eid. Nasiruddin Hozza mentions that the population of Dhaka is approximately 9.6 million at present. If 40% of them go home then the number can reach 3.5 million. That means Dhaka would be half empty by then. Many people start their journey towards home long before the official Eid holidays. The citizens of Dhaka becomes happy, because the bustling megacity seems less crowded. Facebook user Amanullah bin Mahmud's home town is Sirajganj, far away from Dhaka. He will travel by rented car the day before Eid. 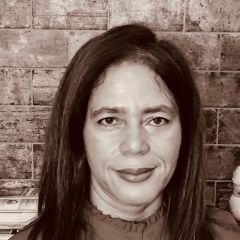 But for those who avail public transport, this journey can be a unhappy affair; it's virtually impossible to get tickets, and they have to pay much more. Queue for advance tickets at Kamalapur railway station. Image by Safin Ahmed, copyright Demotix (12/08/2011). No tickets are available for bus train or domestic airlines. Those who with high hope queue for the whole night at the ticket counters are not sure whether they will have the last laugh. After a sleepless night enduring countless mosquito bites, if they really get a ticket, imagine how happy they could be. Only those who have gone through this ordeal will understand. But not everyone is lucky. Tickets are quickly sold out once the counters are open. Many dreamers are left stranded empty handed. I had to struggle too. But the fight this year was the hardest in my life. I used to avoid the ticket counters of public transport in the recent years. I would travel by a domestic airlines to Jessore, then reach Khulna by airlines bus. Dhaka-Jessore in 35 minutes and to Khulna in 50 minutes more, that's it. This time I was in trouble. The local airlines were booked. I could not manage a ticket, but I have to get home. Uzzal had to pay a lot extra for his ticket home. Many resorted to Facebook to help others who could not manage a ticket. For example, renowned writer Anisul Haque informed in a Facebook status [bn] that he had extra tickets for five air conditioned seats on the Dhaka- Rangpur express train. The only ship for Sadarghat-Swandeep route is out of order. There is scarcity of ships in river transport. The roads across Bangladesh are shabby (Editors note: because of heavy rains this monsoon). The traffic jams will add to the misery. The train service do not have enough engines to run extra compartments. The people will face trouble to reach home. Those who start the journey just before the Eid day, God knows whether they will be able to reach home on Eid day. 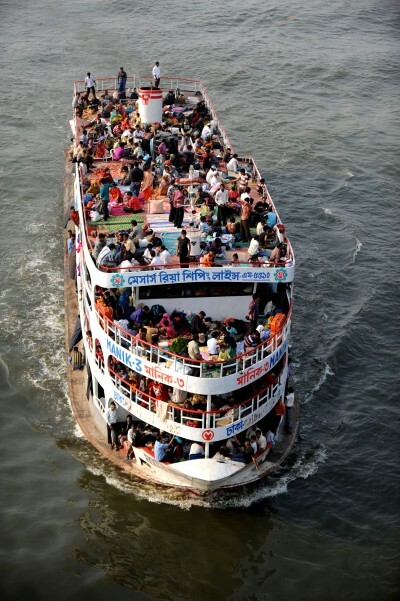 People risk over crowded passenger ships to reach home during Eid. Image by Maji, copyright Demotix (26/11/2009). A passenger ship with people bound for home during Eid was submerged (in 2009) due to extra load. Hundreds of people died. 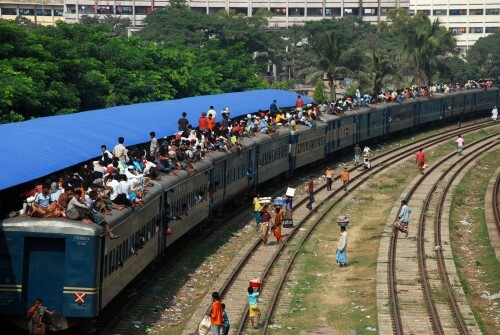 Each year during the time of Eid, Buses, trains and ships carry extra passengers. The government do not take any step to prevent these. The general public do not follow pre-cautions which lead to deaths. But the government cannot avoid its responsibilities. Proper investigation should be carried out to find out the people responsible for the negligence. But every year the situation remains the same. As the travelers are greater in numbers comparing to the transports available, people have no choice to take risks to go home during Eid. Eid celebrated with family is filled with a lot of happiness because of the struggle to reach home.